A tasty apple flavoured liquid mixture of electrolytes and quickly absorbable vitamins to facilitate recovery from intense training, competition or transport. All Cavalor products are FEI safe. 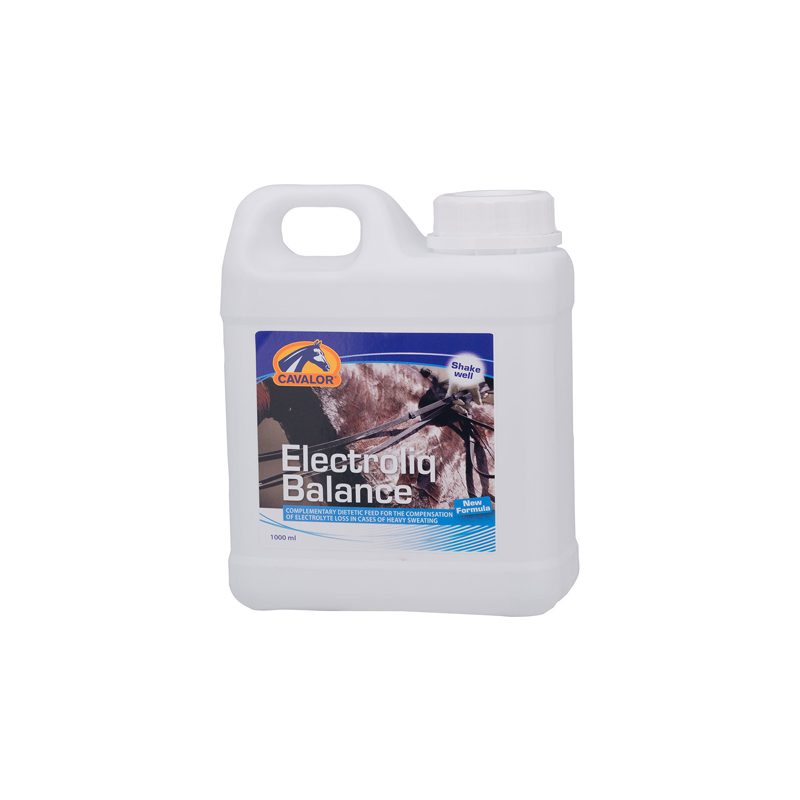 Electroliq Balance contains electrolytes (Potassium, Chloride, Magnesium and Sodium) which are lost when a horse sweats, along with Fructose and Dextrose as energy sources. These electrolytes are vital for proper muscle cell function. Dosage: Elecroliq Balance can be given before and after a period of sweating. Ponies and recreational horses 30ml per day, Sport horses 50ml per day.